You don't need a lot of room to create a usable office space with this Alpha computer desk. This contemporary desk features a sleek, unexpected design with an arched base that gives it the look of a fine work of art instead of the utilitarian piece it truly is. 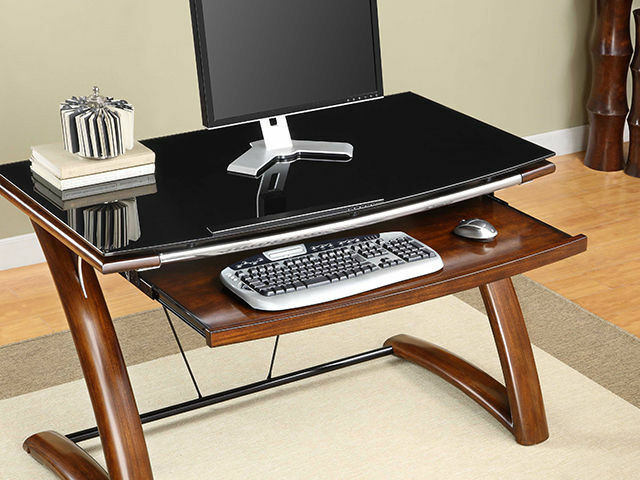 The glossy black desktop is made from glass for a chic, elegant presentation, and the dark wood finished legs are sturdy and stout, lending support to hold your office peripherals and computer sturdily. A pull-out keyboard drawer conserves desk space and stores away beneath the desktop when not in use. 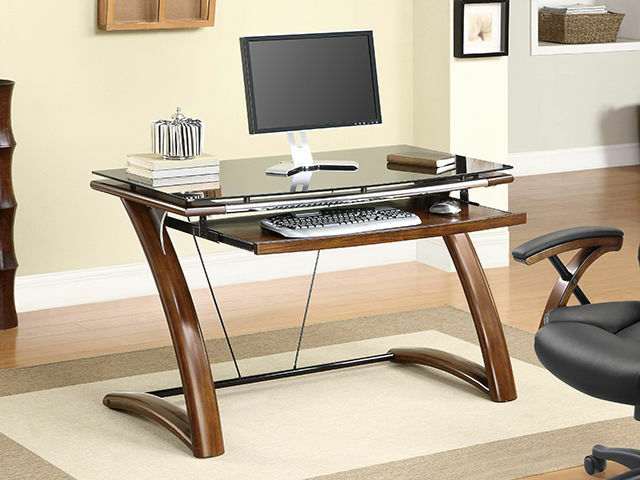 Create a functional home office with casual style when you add this Alpha computer desk to the mix.